It’s not unusual nowadays to hear about auto companies involved in the development of self-driving cars acquiring a smaller subsidiary that makes autonomous tech components or the like. But General Motors announcement Monday that it has acquired LIDAR technology company Strobe is significant. It puts the company one step closer to having a stake in almost all production and development aspects of self-driving cars. Strobe’s going to work with GM’s self-driving car subsidiary, Cruise Automation, where it’ll work on speeding up the development of LIDAR technology. “Strobe’s LIDAR technology will significantly improve the cost and capabilities of our vehicles so that we can more quickly accomplish our mission to deploy driverless vehicles at scale,” said Kyle Vogt, Founder and CEO, Cruise Automation, in a statement. GM’s announcement here stakes out serious territory for the automaker. It has self-driving all-electric Bolts in production in Michigan; a semi-autonomous system called Super Cruise that has 160,000 miles of LIDAR mapping data already in tow; and a huge investment in ride-hailing company Lyft, all the while trying to develop a ride-hailing platform of its own. 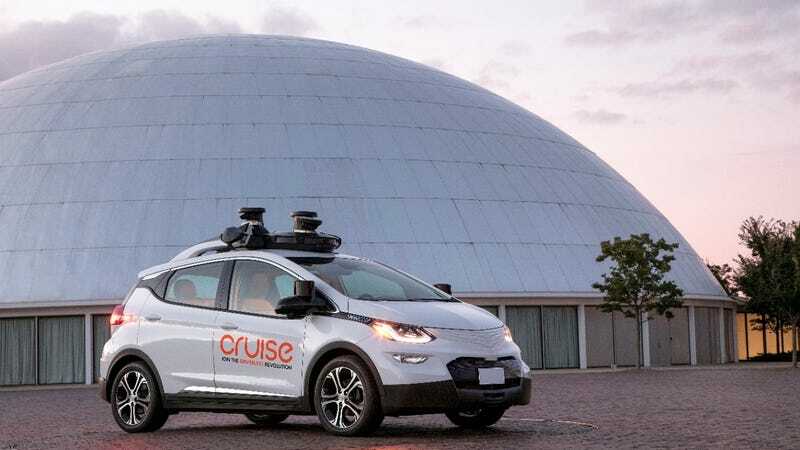 The company has a big fleet of autonomous cars testing on the road as we speak, bolstered by Cruise, which works on developing the robotcar’s hardware. Adding Strobe into the mix gives it another key piece of the action: LIDAR is generally described as an autonomous car’s eyes on the road. In sum, that means GM has some of the biggest elements required to make a self-driving car work being developed in-house now. And when it’s ready, it’ll have a ride-hailing platform in waiting to get them on the road with consumers quickly. All in all, I think its moves like this that make an early-2020s target for having self-driving cars on the road—operating in a confined, small area for ride-hailing purposes, which is what most automakers are trying to accomplish—seem all the more possible.